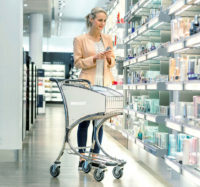 Luggage trolleys for different requirements: Landside trolleys can transport large items of luggage long distances without any problems. They are easy to push even when heavily loaded and are available in designs suitable for escalators, if the airport facility includes these. 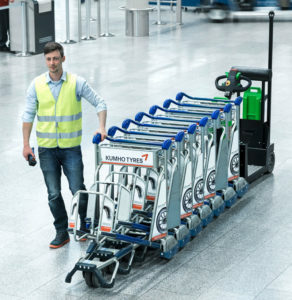 Airside trolleys are used to transport hand luggage or duty-free purchases. 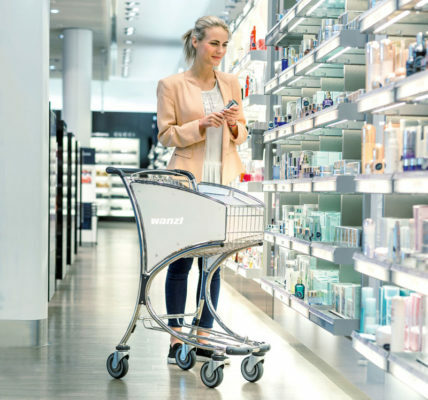 The high-quality craftsmanship with all Wanzl luggage trolleys is synonymous with our company. Our high-quality products also continue to function perfectly for years. We guarantee to provide Wanzl original spare parts quickly in the long term via our after-sales service. The constant availability of Wanzl luggage trolleys when required is essential for perfect trolley management. 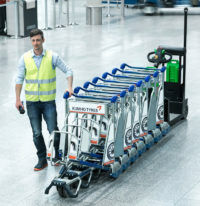 The well-organised supply of trolleys, the recirculation of trolleys via Wanzl collection points and the safe return of whole rows of trolleys to collection points using Wanzl Airport Scooters ensure that work processes are carried out efficiently. Maintenance for luggage trolleys and related equipment, so that everything functions perfectly. Wanzl supplies the required original spare parts to replace wear parts. The latest software and modern RFID technology make maintenance child’s play and you can keep track of costs. 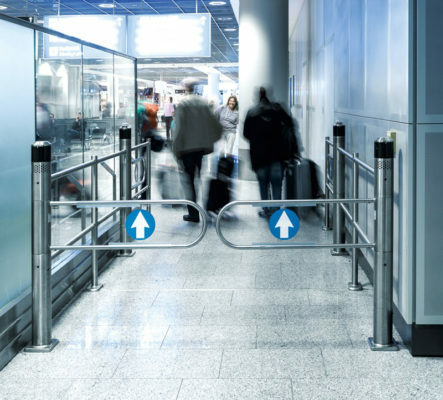 Access authorisation and control in various areas with different requirements – staff access, boarding systems, ticket systems for chargeable areas and more. Adaptable systems with readers, scanners or vending machines have been reliably used for many years. Reliable separation, simple processes and exemplary service are the objectives aimed for during the development of such systems. The introduction of chargeable areas has created the opportunity to generate increased revenue. Wanzl would be pleased to provide you with sample calculations for these.